Having a case of the Mondays? Let Laundry Ease take the chore of doing endless laundry off your plate and make your Monday go a little bit smoother. Use your Ambler Card to get $20 off of your first order! You simply have to set a time for Laundry Ease to pick up your laundry and they will take care of the rest. Visit the website here to get started. 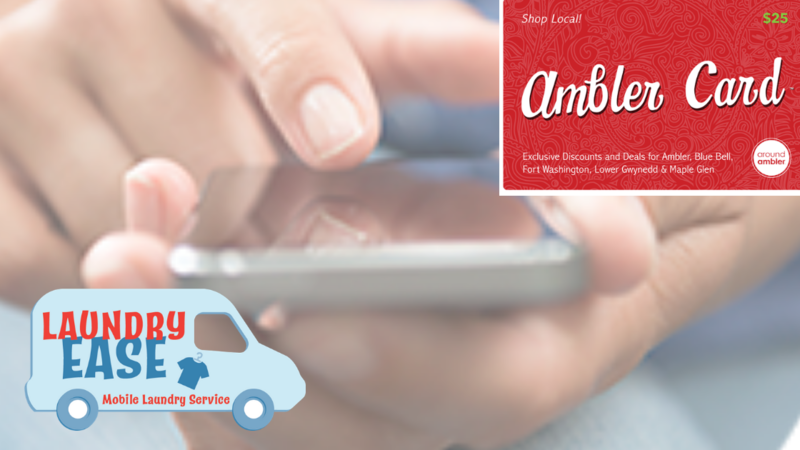 The Ambler Card now has over 65 discounts to local businesses to card holders. The card is $25…see all of the available deals and get your card here.